With this truck, the world is your vacation spot. People who prefer a more rustic holiday experience will likely be limited in where they can take their camping vacation based on what type of vehicle they drive. If you drive an off-road pickup truck, for example, you can live out in the wilderness pretty comfortably for a few days. But what if you wanted your off-the-grid vacation to also include more luxuries from home? A company called Adventure Trucks, which specializes in turning pickup trucks into ultra-luxury camper vehicles, has the perfect vehicle for the job. It's called the Adventure XT and with prices starting at $340,000, it is the ultimate tool for beefing up your off-road vacation. That price tag may seem excessive but it does include a $60,000 allowance towards a Ram 5500 or Ford F-550. The images Adventure Trucks provide us show the old Ram but the company tells us it is possible to build one on the new Ram Chassis Cab that was just revealed at the 2019 Chicago Auto Show. A representative from Adventure trucks says customers prefer the Ram's Cummins diesel engine and most of the trucks the company builds are Rams as a result. 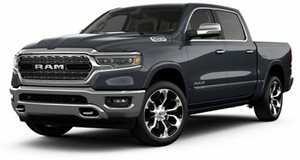 If you chose to build your Aventure XT on the latest Ram Chassis Cab, you will get a 6.7-liter inline-six turbo diesel producing 360 horsepower and 800 lb-ft of torque. But what sits up front isn't nearly as important as what sits in the back. Each Adventure XT is built using a molded composite body which houses a sleeping area, dining room, and kitchen. Climb inside and you will be treated to home amenities including a stove, refrigerator, freezer, microwave, air conditioner, and even an optional miniature washer unit. There's also a Webasto Hydronic heater that can heat the cabin and provide hot water even in sub-zero temperatures. With the Adventure XT, there are very few places on Earth where you won't be able to go on your next vacation. Even the most remote locations will pose almost no inconvenience because the truck is fitted with up to 800 amp hour Lithium-Ion batteries, 850-watt solar panels, 102 gallons of diesel, and 92 gallons of fresh water. You won't have to worry about getting stuck on any rocky terrain either because each truck wears massive 41-inch Goodyear tires and features adjustable four-Link front suspension, performance shocks, and a 16,500-pound self-recovery winch.